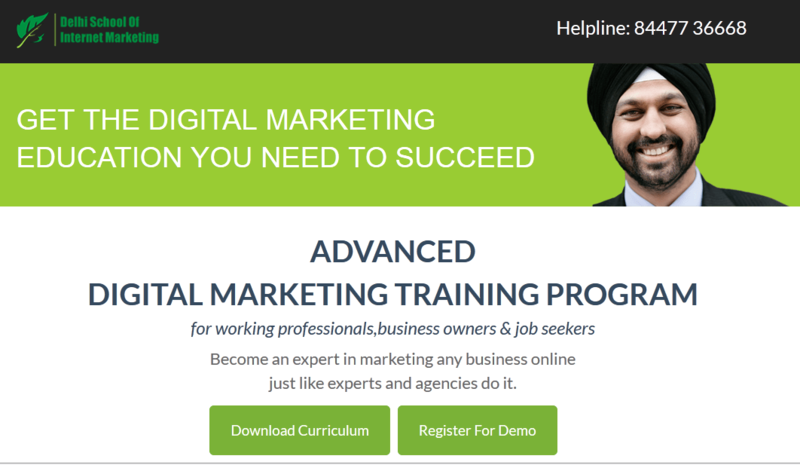 Are you a student looking for a promising job that not only satisfies your hunger for big moolahs but also gives you a job satisfaction in all the ways, here is how digital marketing training can help you reach your destiny? • Give companies extra reasons to hire you. Many students have got trained in digital marketing from DSIM and have secured a wonderful career. Some of them are Hitesh Kumar, Shivangi Singh and Ishaan Malhotra. Hitesh Kumar who is the ex-trainee of DSIM was offered with a salary of 3.6 lacs in spite of being a fresher. He is currently working as a senior search consultant in Quodos Digital and grabbing a monthly remuneration of 30 K. Read the full story here!. Shivangi Singh who is the ex-trainee of DSIM was offered with a salary of 1.8 lacs in spite of being a fresher and during the Indian economy was going through mild recession. She is currently working as a Digital Marketing Executive in R H International and grabbing a monthly remuneration of 15K. Read the full story here! Although we provide you with that ultimate training but still we don’t think our task is finished and that we provide you with job placements as well. As far as placement is concerned we don’t approach companies rather they approach us that also reveals the increasing demand for digital marketing professionals at present. Some of the companies that have approached us in past are Google, Jabong, IBM, etc.